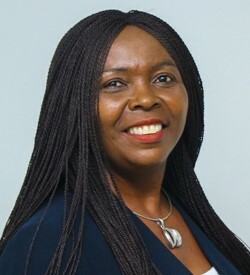 After over 4 years in the business (Sharemind Lagos), being the Head of Unilever business, Ada was promoted to the position of Media Director. Under her leadership, the agency won several recognitions by the Client (Best Media Event support during Blue Band World Bread Day Guinness Book Attempt in Nigeria and Royco Biggest Family Cooking Contest – 50 families). As a Media Director, she led a team that managed several multinationals like Frieslandcampina, Heineken, Beiersdorf and won several Agency pitches like Twinings, AED/USAID etc. In 2008, she was nominated as a Jury panel member of Nigeria Outdoor Big Ads Award. In 2012,she got an award of Excellent Personality in Nigeria Women in Media Award. In 2013, she joined Alleseason Mediacom as a General Manager Strategy and Planning, where she worked again across several multinationals like Mondelez, Pepsico, Shoprite, OLX, Pladis etc. in which several recognitions was gotten from Clients in driving growth led successful campaign e.g. Launch of Pepsi Long Throat 60cl Bottle campaign that won several awards e.g. WARC Silver prize for Social Media Strategy 2016, #Goldgiraffe Award at Publicis Africa Conference 2016 held in Cape town. Gold PiX Award from OOH Poster Award Nigeria and Iconic Brand of the year 2015 Award in Soft drink category in Nigeria . For OLX, best classified Advert website of the year by BoICT and fastest growing brand in Nigeria 2016 by ICT Magazine. In 2015, she was nominated at Industry body ( Media Independent Practitioners Association of Nigeria- MIPAN)as the Chairperson Technical Committee and member accreditation committee and Media liaison Committee. She was also a member of local organizing committee of PAMRO (Pan Africa Media Research Organisation) in Nigeria.